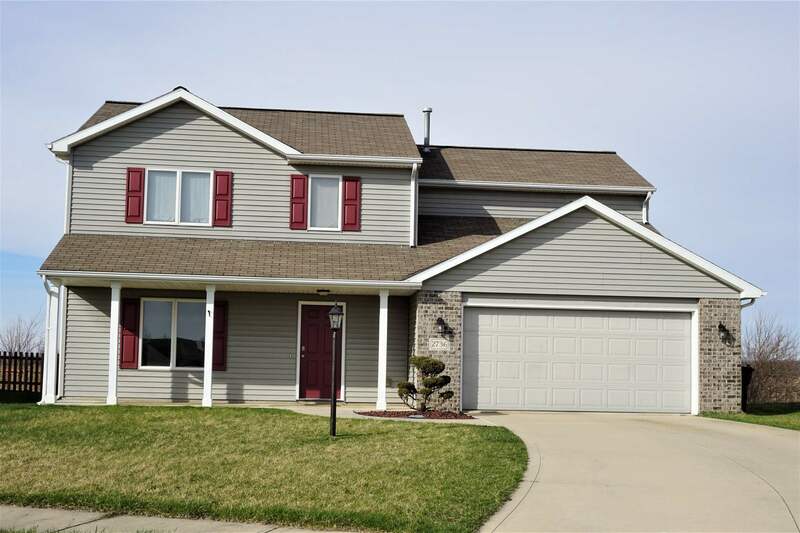 Wonderful 2-story, 4 Bedroom, 2 & Â½ Bath family home situated on a culdesac lot located in the desired Northwest Allen County school district in a great neighborhood that offers an association pool for lots of summer fun (included in HOA fees). This great home has a cozy Family Room with corner gas log ALL BRICK fireplace. Fantastic Kitchen that INCLUDES ALL APPLIANCES and has lots of cabinets & a pantry for all your storage needs. Bonus extra room that can be used for den, office, or craft room. Large laundry room. Upstairs find 4 spacious bedrooms that contain roomy closets (many walk-in). The nice size master suite has double closets (one walk-in) and a master bath with double vanity sinks. Back yard offers no neighbors behind you, only open field beyond the tree line. Updated flooring in Living Rm and Den. New dishwasher & water heater along with sink, faucet and garbage disposal all completed in 2018. Fresh paint in many rooms in 2019. Come see and make this your next home.